When there’s a tint shop on every corner, how can you tell which one will give you the best product and service? 3M™ made this easy by developing an industry-wide designation. Window tint companies who meet 3M™‘s stringent requirements for quality, technical expertise, and customer service become members of the 3M™ Authorized Dealer Network. This certification helps customers distinguish the good from the bad and the ugly, and Carolina Solar Security proudly wears the badge of being a top tier window film installer. What Does It Mean to Be a 3M™ Authorized Dealer? First and foremost, when you see that a window film installer belongs to the 3M™ Authorized Dealer Network, you can rest assured that you will receive the highest quality of products, customer service, and installation. Window film applicators authorized by 3M™ undergo hours of training and participate in continuing education to stay on the cutting edge of the window tinting industry. This demonstrates their commitment to providing customers with the best service and participating in 3M’s innovation to continually develop better products. When installed by a 3M™ Authorized Dealer, 3M™ window film includes a warranty. This warranty applies to the product during installation and throughout its lifetime. It protects again bubbling, blistering, cracking, peeling, and discoloration. Warranty specifics vary between residential and commercial installations, so ask for more details during your complementary consultation. Even more impressive than being a 3M™ certified installer is being a Prestige 3M™ Authorized Dealer. 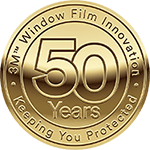 Prestige Dealers, such as Carolina Solar Security, offer 3M™‘s full range of window tinting products, include their Prestige Series of window film. Only this level of 3M™ dealer offers this line of window film. Prestige Series films boast exceptionally high light transmission, UV protection, temperature control, and glare reduction. We hope this proves helpful when deciding with whom to entrust your windows. Carolina Solar Security believes in only the highest quality of products and customer service, and our 3M™ authorization is a testament to this commitment. Carolina Solar Security is a Prestige Authorized 3M™ Dealer in Wilmington, NC. We have been providing Southeastern North Carolina with 3M™ window film solutions since 1985 and never stop working to bring our customers the best products paired with the most skilled window film technicians. Reach out to us for your free quote today!